Please forgive the title. It’s early and I’m a few cups (ok, a few thermoses) of coffee away from a sharp sense of humor. For now, it makes me giggle. In farming, there are essentially two periods of complete insanity each year. Sure, there are little sprinkles of craziness between the two, but planting and harvesting (in my mind, at least) are the busiest times of year on the farm. We (again, I’m using this pronoun loosely) plant corn every spring. The process typically takes a few weeks and the days are long, long, long. The Dairy Man will spend hours upon hours in a tractor. I see him for brief meals on the go, or I don’t see him until he’s crawling into bed. So, that’s spring. After a summer of basking in the sun and growing tall and leafy, our corn stalks are ready to be harvested in early fall. Two weeks ago we wrapped up the corn harvest. Excuse me for a moment while I pop a bottle of champagne and do a slightly awkward happy dance. Finishing corn harvest is a significant milestone. At this point, things really slow down for farmers (with the exception of one more hay cutting). I’ve always loathed the cold and snow of winter, but I do enjoy the moderate reprieve in the farming lifestyle that comes during the colder months. Things move a little more slowly. The days are shorter and a “dawn till dusk” workday is inevitably truncated. I eat carbs, wear thick sweaters, and actually get to spend evenings with my husband. As we entered our second harvest as a married couple, I started to get flashbacks of this time last year. These flashbacks, naturally melodramatic and a little bit whiny, reminded me of a time when I barely saw my husband, ate my meals alone, and did all of the housework by myself. These were the dark days of a newlywed country transplant. It’s a good thing the Dairy Man had the sense to marry me before corn harvest. I was already locked in. But I digress. 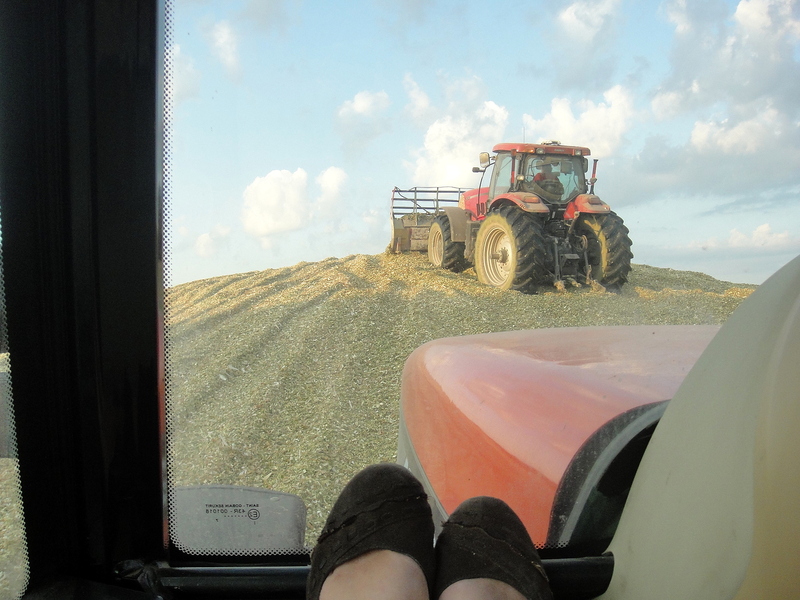 This year I had the benefit of a toughened psyche thanks to 12 months of farming fun. When the Dairy Man said, “Well Jess, we start corn harvest tomorrow,” I knew what to expect. With my commute and work schedule, I wasn’t able to get as many in-action harvest shots as I would have liked, but I did get a picture of THE PACK. Well, more specifically, it’s one of THE PACKS, but this is the biggest by far. All 700+ acres of our corn is harvested for cow food. Corn is just one of the many ingredients that goes into our feed rations, but it is by far the biggest component. Unlike sweet corn, which is grown for biped consumption, our corn grows all summer long and is harvested right before it dries up. During corn harvest, a machine called a chopper drives through the field and chops up the corn, stalks and all. 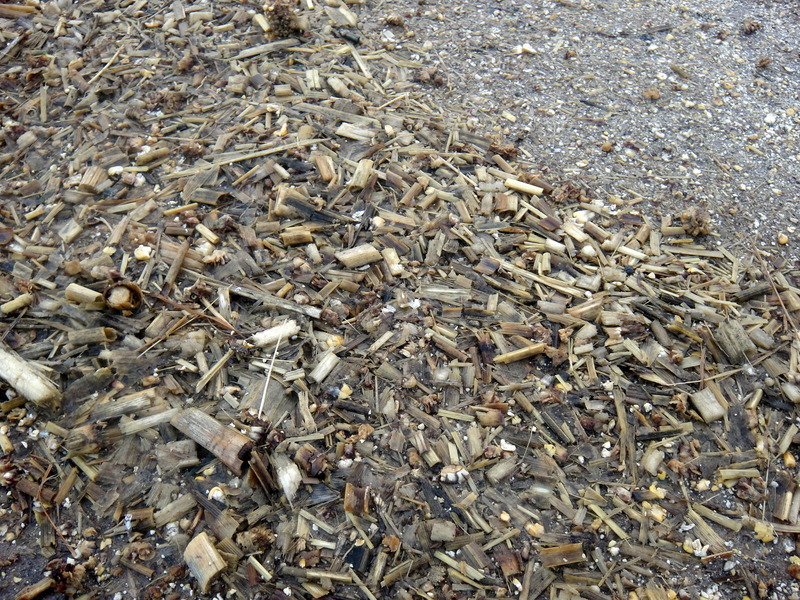 This product is called corn silage. 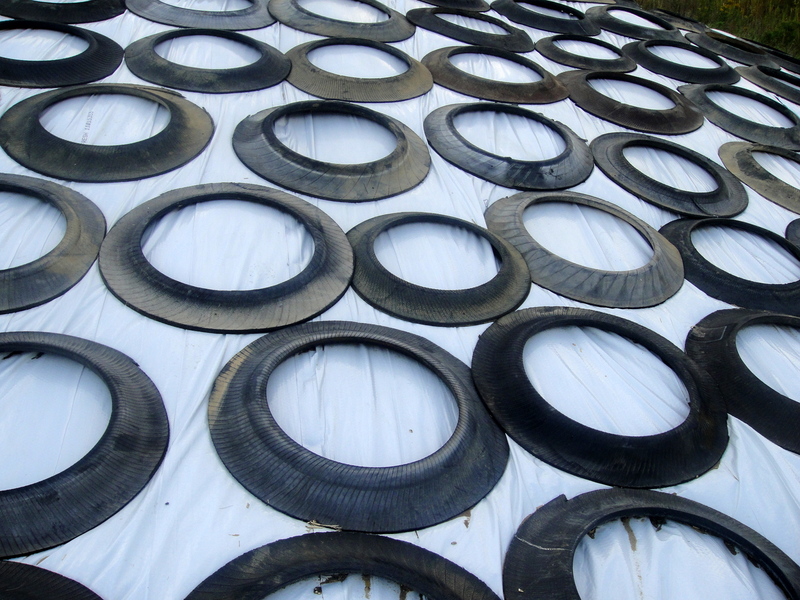 When you harvest corn, you have two options for storage: in ag bags or in large packs covered by plastic sheets and tires. The Dairy Man and his father used both methods of storage this year. 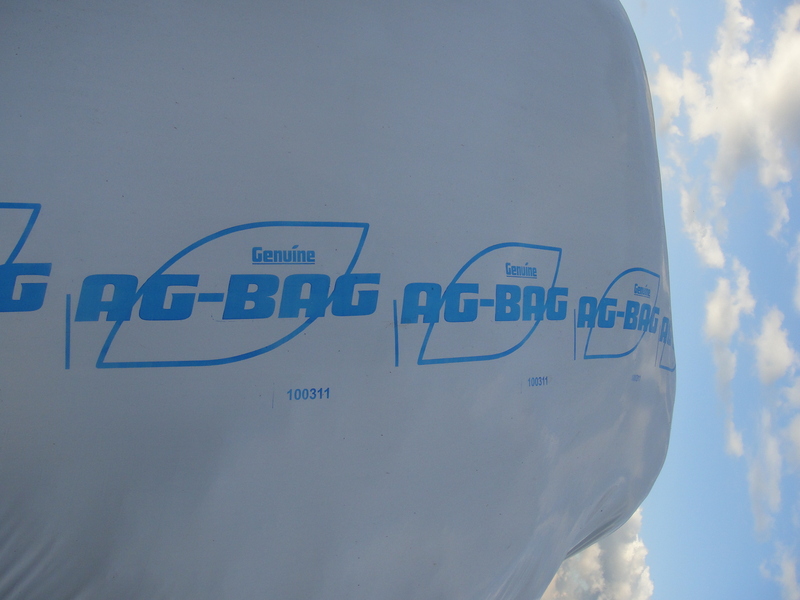 Ag bags are easier to seal to ensure that the corn silage doesn’t get moldy, but packs are more space-efficient. Since we had a LOT of corn to put up this year, we went with both. 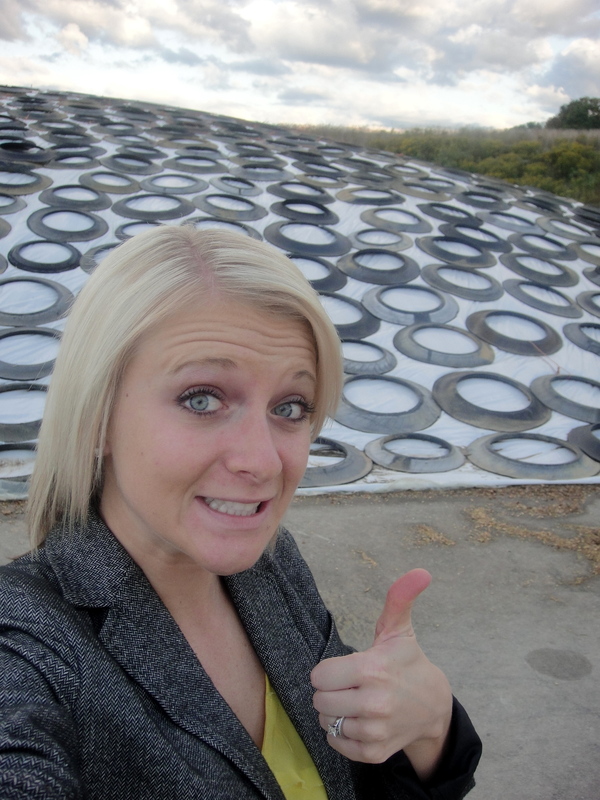 The process of bagging corn silage is essentially identical to that of bagging hay. 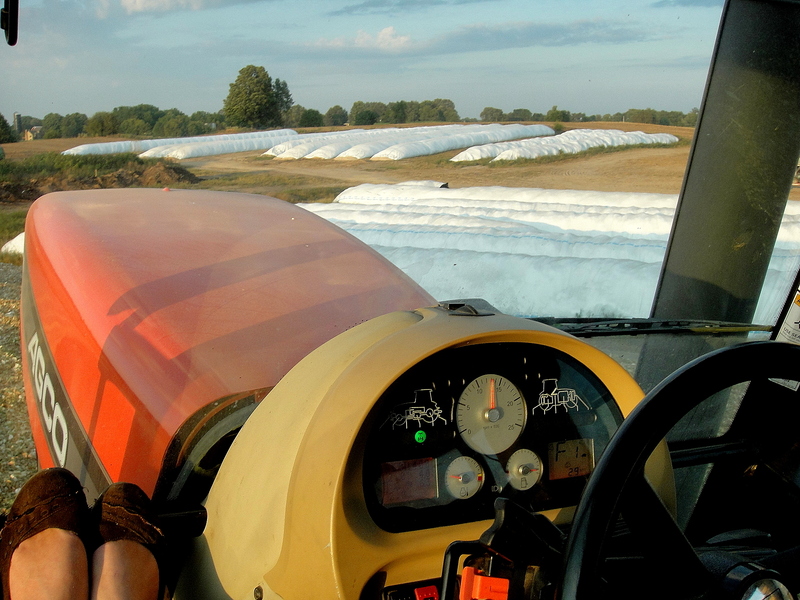 Trucks drive the silage to the bagger and the Dairy Man makes sure the bags get loaded properly. Packing corn silage, on the other hand, involves making a huge pile of corn and driving over it with a tractor to pack it. Hence: the pack. 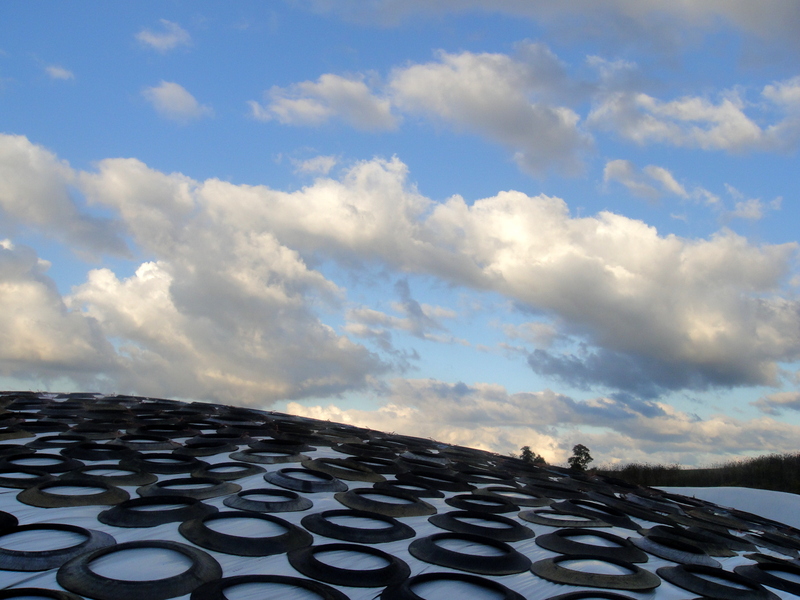 Once the pack is finished, the farmers cover it with plastic sheets and tires to keep out any trace of oxygen. One night I had the opportunity to ride on the pack with the Dairy Man. And, oh dear, I was bored after about 30 seconds. Basically the Dairy Man drives up and down, up and down, up and down the pack ALL DAY LONG. Backwards, forwards, backwards, forwards, backwards, forwards. Talk about seasickness. The reason they undertake this monotonous task is because the pack of corn has to be tightly compacted in order for the corn silage to be preserved over the next year. So they drive on the pack. Up and down. Backward and forwards. All.day.long. My husband is a better man than I. Though, I must say, the view from the top of the pack wasn’t half bad. 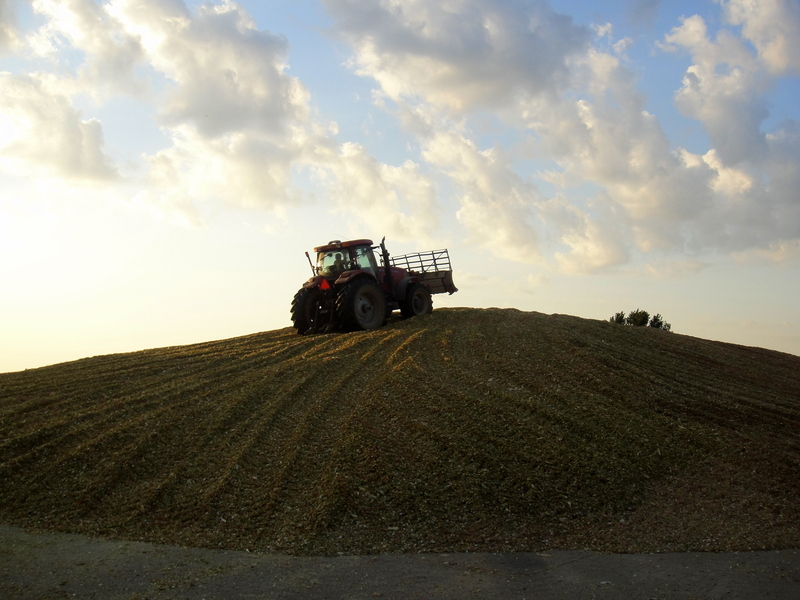 Corn harvest is finished, but our cows will be chowing on the silage from these bags and packs for the next year. And really, it’s all about the cows. Next Post Life is what happens. 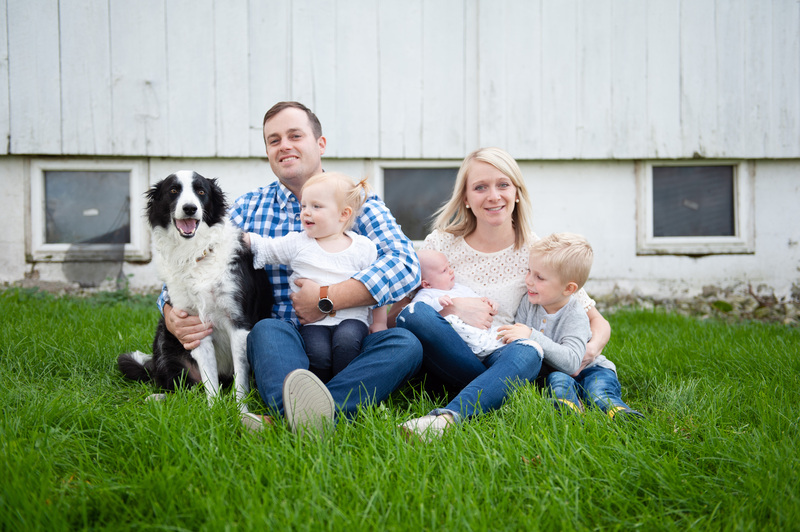 Jess – I love to read each chapter of your life as a farm wife. You have learned a lot and so have I. I lived on a farm as a little girl during depression years, the 30s. One cow and chickens and a garden so my dad could feed his family. I never went to bed hungry! But, also, I’d have to decide if I really want to be in charge of raising chickens. Oh conundrum. We are chopping back here in Pennsylvania. With all the rain we have had this past month, it is tough going. Going on two weeks and still not done. So glad to hear that I am not the only girl to ride with her honey while he is packing the bunks. Happy Harvest to you and your dairy man! I hope you guys wrapped up well and you’re getting to spend some more time with your husband! It really does! You have to know when to whine and when to accept it. 🙂 We’re always fighting for balance. I get a lot of reading done during harvest season. Thanks for reading my blog! I’m so enjoying the chance to meet other people who GET what this life is like. I’m still adjusting, but it helps to know that other people feel the same way!